Italian, French, German and Russian tourists like the sea that washes the Tuscan coas but not only because of its beauty but also because of the prizes that various conservation groups award it every year. Three words suffice to describe the Tuscan sea: beautiful and clean. 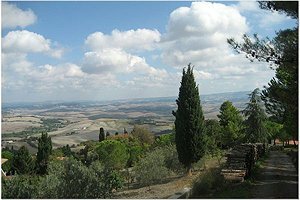 Spending a holiday in Tuscany does not only mean visiting famous cities of art. If you want to relax in close contact with unspoilt nature and... why not, you like nightlife, the best solution is renting a villa at the sea in Tuscany . 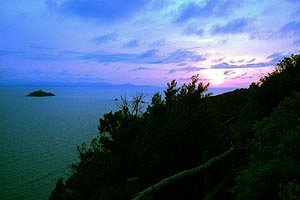 Renting a villa in southern Tuscany you will have the possibility of sunbathing on the wild public beaches west of Grosseto or on a boat and of making excursions at the discovery of Giannutri and Giglio and the other islands of the Tuscan archipelago. 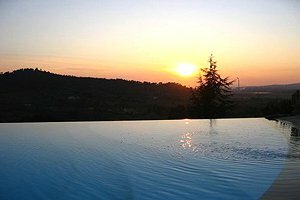 On the contrary, if you rent a vacation villa in northern Tuscany , you can opt for the bathing establishments furnished with all modern comforts situated along the coast of that part of the region that was once under the Medici rule. 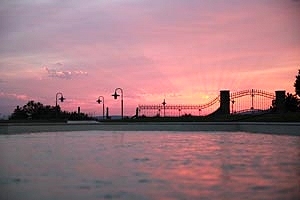 It is not by chance that Forte dei Marmi or Viareggio are often considered synonyms with "quality". Indeed, sea is also synonym with entertainment. That is why, while you are choosing your villa at the sea in Tuscany , you should not forget about historical clubs such as the famous Capannina, the discos in Viareggio and Follonica and events that liven up the summer nights, such as the festival at La Versiliana. 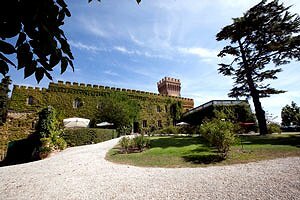 Historic castle situated between Livorno and Grosseto, in Maremma. Sleeping groups of 12/20/26. Wide park, swimming pool, hydromassage, air conditioning, Internet connection. Riding stable, tennis club, golf club and spas nearby. Ancient historic castle in Maremma (Grosseto). Sleeps 13+1 swimming pool, Internet connection, toys for children. Tennis courts, riding stables and golf club within a few kilometres. Ancient watch tower near Talamone (Grosseto), in Maremma. Immersed in a wide park and close to the sea. Sleeps 5. Excellent accommodation for nature and water-sports lovers. Swimming pool, tennis courts, five-a-side football and volleyball pitches within a few kilometres. Windsurf and kitesurf facilities nearby. Beautiful villa about 10 kilometres from the beaches of Castiglione della Pescaia (Grosseto), in Maremma. Sleeps 11, swimming pool, Internet connection, air conditioning, gym, hydromassage. Wonderful panorama. Nature oasis of Diaccia Botrona within a few kilometres. 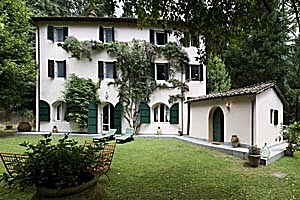 Nineteenth-century villa near Capannori (Lucca), in an area rich in historic villas. Sleeps 10, wide fenced park, swimming pool, Internet connection. Beaches of Versilia within a few dozen kilometres. Possibility of organising dinners with traditional Tuscan dishes. Exclusive luxury villa in Versilia, between Viareggio and Forte dei Marmi, near Lucca. Swimming pool, air conditioning, Internet connection. 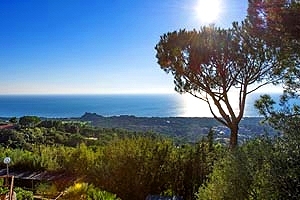 Wonderful panoramic position with view over the coast and the Tyrrhenian Sea. Sleeps 10/14. Tennis club, riding stable and golf club in a few kilometres. Luxury villa overlooking the sea in Tuscany in the countryside around Massa and a few kilometres from the most renown Versilia and Ligurian beaches . 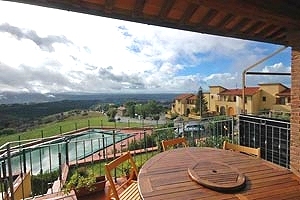 12 sleeping accommodations, swimming pool, Jacuzzi, sauna, satellite TV, Internet connection, magnificent view onto the surrounding countryside and the Tyrrhenian Sea. 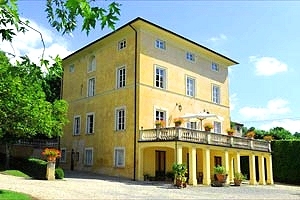 Elegant historic villa in Lower Valdarno, a few kilometres from Lucca and Pisa, near San Giuliano Terme. Sleeps 10, wide park, swimming pool, Internet connection, air conditioning. Possibility of organising lunches and dinners at the property. Welcome dinner the evening of arrival. Thermal baths, tennis club and golf club within 20 kilometres of the villa. 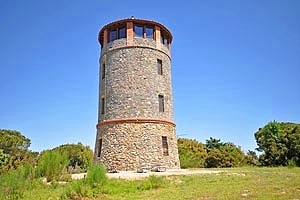 Ancient historic tower just a few kilometres from the shore in Orbetello (Grosseto), in Maremma. Sleeps 8/12, wide garden, swimming pool, Internet connection, air conditioning. Tennis courts, golf club and riding stable nearby. 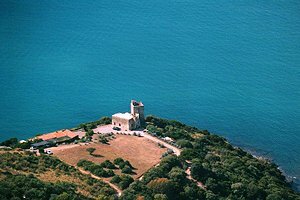 Charming 16th-century tower overlooking the Tyrrhenian Sea near Talamone (Grosseto), in Maremma. Sleeps 10, Internet connection, private access to the sea and small beach less than one kilometre away. Gorgeous panoramas. 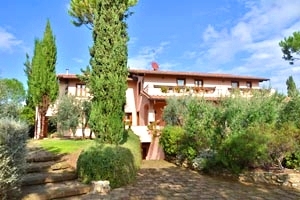 Elegant and luxurious villa near Forte dei Marmi (Lucca), in Versilia. Sleeps 6+2, swimming pool, wide garden, wood-burning oven, Internet connection, barbecue, air conditioning. Just a few kilometres from the famous beaches of Versilia. 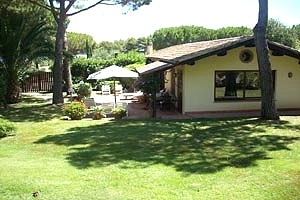 Elegant villa near Marina di Grosseto, just a few kilometres from the beaches of Maremma. Sleeps 12+6, wide park, swimming pools, hydromassage, gym, steam room, solarium area, Internet connection, air conditioning, children`s toys, pizza oven, barbecue. Riding stable nearby. 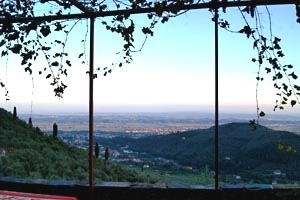 Wonderful villa in panoramic position just a few kilometres from Lucca. Sleeps 8+2, swimming pool, fitness area, table tennis table, Internet connection, air conditioning, hydromassage. Enthralling view up to the town of Lucca. Beaches of Versilia easily reached, golf club nearby. Magnificent villa on the Versilia hills, just a very few kilometres from the beaches of Lido di Camaiore and Forte dei Marmi. Sleeps 8, swimming pool open all the year round, Internet connection, hydromassage, Bluetooth stereo system, sauna, billiards table, table-football table. Golf club and tennis club nearby. 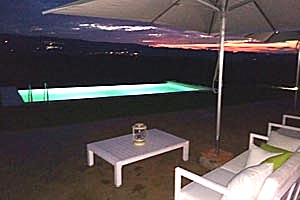 Luxurious villa in a no-hunting area in Maremma, in the hinterland of Grosseto. Sleeps 8+2, wide park, swimming pool, sauna, hydromassage, Internet connection. Tennis club, thermal baths and riding stable nearby. 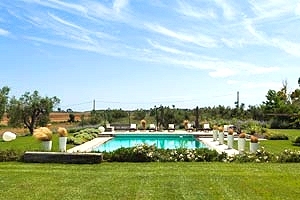 Elegant villa in Maremma countryside, between Porto Ercole and Talamone, just a few kilometres from the Tyrrhenian Sea. Sleeps 14+3, swimming pool, Internet connection, air conditioning. Tennis club and riding stable nearby. Maremma Regional Park and Orbetello's lagoon within short distance. 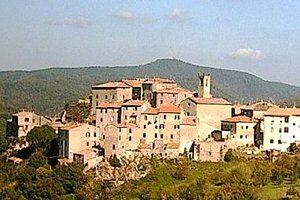 Possibility of organising guided one-day trips in Tuscany. 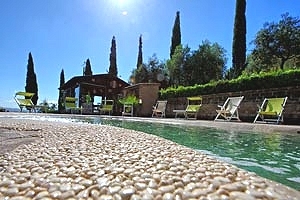 Elegant luxury villa on the hills of Versilia, near the beaches of Forte dei Marmi (Lucca). Sleeps 10, swimming pool, Internet connection, air conditioning. Beautiful view over the surrounding countryside. Riding stable and tennis club nearby. Elegant villa with private swimming pool in a very peaceful part of Maremma countryside, near Monte Argentario and Porto Santo Stefano (Grosseto). 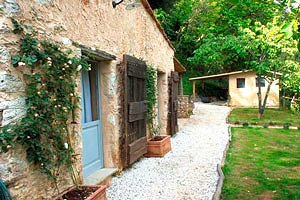 Sleeps 14, wide garden, Internet connection, air conditioning, table-tennis table, wood-burning oven. Tennis club, riding stables and beaches within a few kilometres. 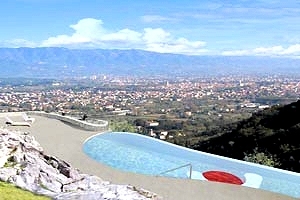 Elegant villa on the hills of Versilia, just 10 kilometres from the beaches of Viareggio. Sleeps 8, swimming pool, air conditioning, Internet connection, barbecue, hydromassage. 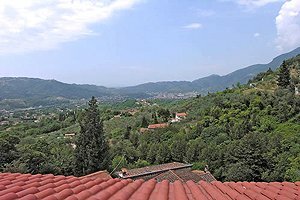 Superb views of the Tyrrhenian Sea and the Ligurian and Tuscan coast. 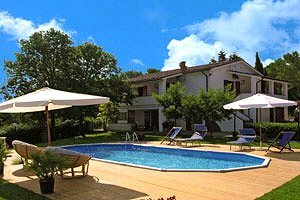 Villa with exclusive swimming pool between the Apuan Alps and the Versilia riviera, only 5 kilometres from Viareggio, near Lucca. 7+2 sleeping accommodations, air conditioning, barbecue, animals welcome. 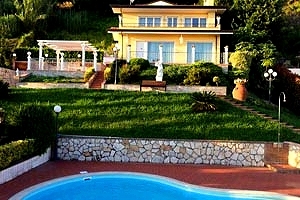 Nice villa located between Versilia and Lerici, near Massa Carrara. Sleeps 4, swimming pool, Internet connection, air conditioning. Beaches within a few kilometres. 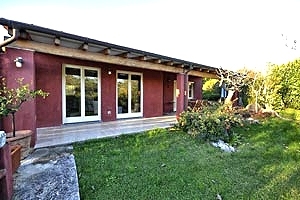 Holiday villa for rent in Casciana Terme, between Pisa and Livorno , in Lower Valdarno. 6/8 sleeping accommodations, air conditioning, satellite TV, barbecue, Internet, hydromassage, cooking courses, tasting. Thermal baths nearby. Villa divided into two apartments sleeping 12+4. The villa is close to Roccastrada (Grosseto), between Maremma and Val d`Orcia. Swimming pool, Internet connection. 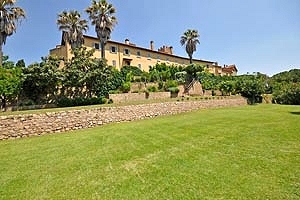 Elegant villa on the Etruscan Coast near Scarlino, close to Follonica in Maremma. Sleeps 7/17, swimming pool. Air conditioning, satellite TV, Internet connection, barbecue, wide garden. 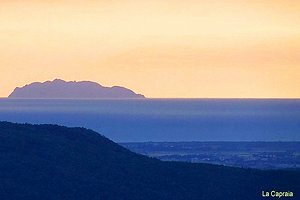 Wonderful panoramic view on the gulf of Follonica. 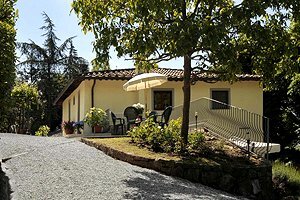 Elegant holiday villa in the countryside around Lucca, in Capannori (Versilia). 10/14 sleeping accommodations, swimming pool, air conditioning, hydromassage, Internet connection, satellite TV, children`s playground. 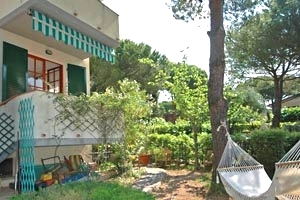 Villa situated between Lucca and Collodi, close to Pisa, the beaches of the Versilia and Valdinievole. 5/6 sleeping accommodations, exclusive use of the swimming pool, wide garden, Internet connection. 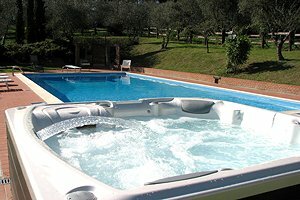 Vacation villa by the sea of Tuscany in Camaiore, in Versilia (Lucca), between the Apuan Alps and the Tyrrhenian Sea. 8/10 sleeping accommodations, wide garden, Internet connection, air conditioning. Just a few kilometres from Lido di Camaiore and its beaches. 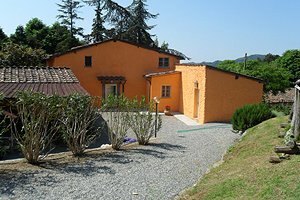 Villa for rent near the small village of Montecarlo (Lucca), just a few kilometres from the beaches of the Versilia. 10/13 sleeping accommodations. Swimming pool. Elegant holiday villa in Monsagrati, just a few kilometres from Lucca city centre and the beaches of the Versilia. 8/10 sleeping accommodations, swimming pool, garden, Internet connection. 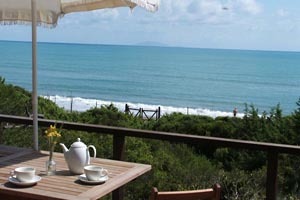 Villa in an extraordinary location on the beach of Castiglione della Pescaia (Grosseto), in Maremma. Sleeps 9/10, private pinewood, Internet connection, barbecue equipment. Tennis club, riding stable and golf club nearby. 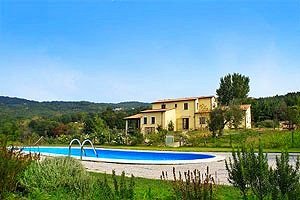 Villa with pool near the Etruscan coast and the Gulf of Baratti, in the province of Pisa, in Upper Maremma - Val di Cecina. Sleeps 6/8/12, wide garden, Internet connection, air conditioning. Tennis courts and riding stables nearby. Imposing villa on the hills of Maremma, just a few kilometres from the most important seaside resorts of Grosseto coast and the Uccellina Park. Sleeps 15, swimming pool, Internet connection, barbecue. 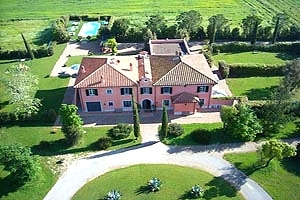 Villa situated between Grosseto and Campagnatico, in Maremma. Sleeps 16+8, wide park, swimming pool, Internet connection, air conditioning, hydromassage. Just a few kilometres from the sea. 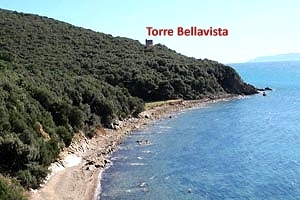 Archaeological sites, Maremma Natural Park and Ombrone Fluvial Park in proximity. Golf club nearby. Villa on the beach in Castiglioncello (Livorno), in Val di Cecina. Sleeps 8+2, garden, barbecue, air conditioning, Internet connection. Tennis courts, riding stable and golf club nearby. 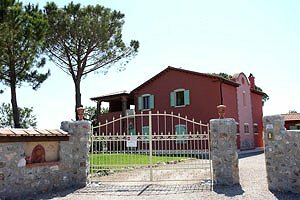 Villa in a village at the back of the Pisan hills, near Casciana Terme (Pisa). Sleeps 6, swimming pool, Internet connection. Wonderful vistas. Thermal baths nearby. Pisa and the beaches on the coast within easy driving distance. Villa on the side of Mount Argentario, in front of Orbetello Lagoon (Grosseto), in Maremma. Sleeps 4+7, garden, sauna, hydromassage, tennis court, air conditioning, barbecue equipment. Close to the sea. Golf club, riding stable and thermal baths nearby. Charming, recently renovated villa along the coast of Mount Argentario, near Porto Santo Stefano (Grosseto), in Maremma. Sleeps 4+2, private access to the beach with shuttle service, bar/restaurant service, garden and barbecue. Villa with swimming pool near the historical village of Bolgheri (Livorno), along the Etruscan Coast. Sleeps 4+2, wide garden, barbecue. A few kilometres from the beaches of Marina di Bibbona. 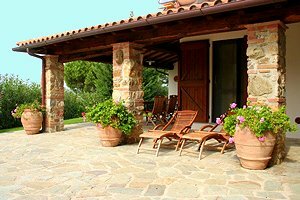 Small barn transformed into a charming villa with swimming pool in Val di Cecina, near Bibbona (Livorno). In close distance to the beaches of the Etruscan Coast. Sleeps 4+2, garden equipped with barbecue. Peaceful and elegant villa with private swimming pool 1.4 kilometres from the beaches of Marina di Campo, on the island of Elba (Livorno). Sleeps 10, garden, barbecue equipment, hydromassage, Internet connection. Easily reached by ferry from Piombino. Within a few kilometres of Napoleon Bonaparte`s villa. 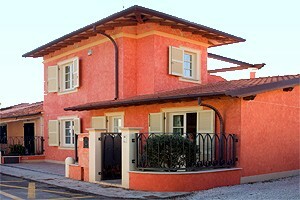 Nice independent villa near the beaches of Forte dei Marmi and Viareggio, in Versilia. Sleeps 10, wide park, swimming pool, Internet connection. Massages and beauty treatments upon request. Villa with private swimming pool divided into two units in Cecina (Livorno), near the beaches of the Etruscan Coast. Sleeps 14, wide garden, barbecue. Riding stable, tennis club, golf club and thermal baths nearby. 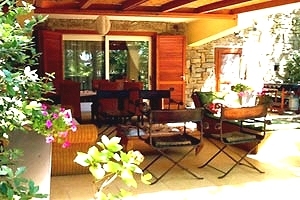 Small villa with private swimming pool near the beaches of Cecina and the Etruscan Coast. 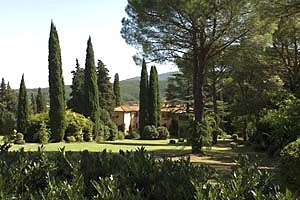 The villa is just a few kilometres from the historic town of Pisa. Sleeps 6, garden, barbecue, view over the surrounding countryside, utmost peace. Tennis club, riding stable and thermal baths within a few kilometres. House in Porto Santo Stefano overlooking the Tyrrhenian Sea in Maremma, near Grosseto. 9 beds, air conditioning in two bedrooms. 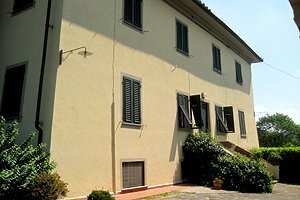 Villa in Versilia, near Viareggio (Lucca). 8/10 sleeping accommodations, garden, barbecue, children's swimming pool. Just a few kilometres from the sea. Wonderful view, possibility of renting boats. 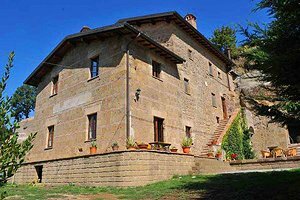 Ancient farmhouse between the sea and the hills, less than 20 kilometres from the Etruscan Coast and Marina di Castagneto Carducci. Sleeps 8, Internet connection, swimming pool, air conditioning. Tennis club and riding stable nearby. 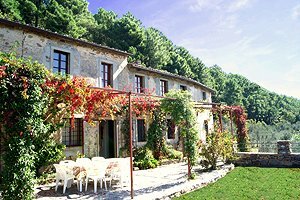 Two small farm holiday villas in Pitigliano, in the Tuscan Maremma, near Grosseto. Two swimming pools and large fenced gardens. Thermal springs in the neighbourhood and possibility of horse riding in the Maremma countryside. 13/16 sleeping accommodations, wood-burning oven. Farmhouse in Pari-Civitella Paganico, in Maremma (Grosseto). Farmhouse near Petriolo`s thermal baths. Sleeps 7, Internet connection, swimming pool. 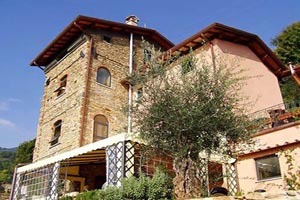 Holiday house at the sea in Porto Ercole, in the province of Grosseto, in Tuscan Maremma. 7 sleeping accommodations. Wonderful panorama, golf club in the neighbourhood. 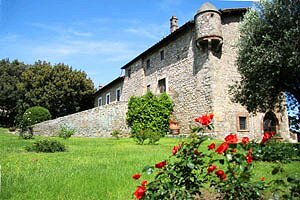 Ancient farmhouse situated in Lower Valdarno, between Pisa and Lucca, just a few kilometres from Versilia and the Tyrrhenian Sea. Sleeps 9. Swimming pool supplied with spring water, Internet connection. Farmhouse at the sea, in Scarlino, close to Follonica (Grosseto, Maremma). 4/5 sleeping accommodations, satellite TV, barbecue. Wonderful views over the gulf of Follonica. Ancient farmhouse near the small village of Buti, just a few kilometres from the beaches of Pisa and Versilia. Swimming pool, Internet connection, panoramic position and absolute privacy. Sleeps 8. 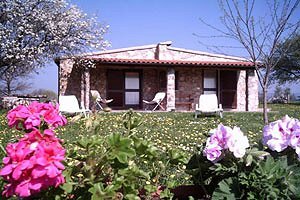 Holiday country house in Riparbella (Pisa), in Val di Cecina. 6/10 sleeping accommodations, garden, swimming pool, barbecue, Internet connection. The house is just 9 kilometres from the beaches of Cecina. 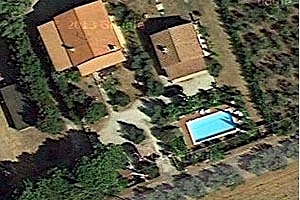 Casale with pool in Pieve Santo Stefano, near Viareggio (Lucca), 25 kilometres from the beaches of Versilia. 12/16 sleeping accommodations, garden, swimming pool. Panoramic view. Ancient farmhouse in Pomarance (Pisa), in Val di Cecina. Sleeps 20, wide garden, swimming pool, hydromassage, Internet connection, volley pitch, children's playground. Wonderful view, trekking and mountain-bike paths in the surroundings. 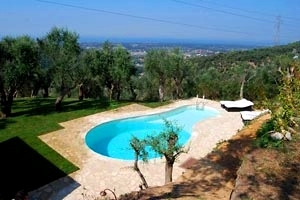 Farmhouse with pool in Sorano (Grosseto), in Maremma. Sleeps 10/16, Internet connection, barbecue, toys for children. Spas, tennis club and riding stable nearby. 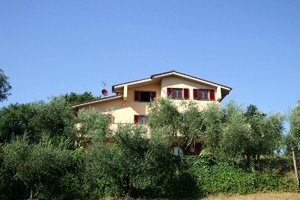 Cottage for rent in Lido di Camaiore countryside (Lucca), in Versilia. Sleeps 2, garden, swimming pool, barbecue. Just a few kilometres from the beaches of Versilia. 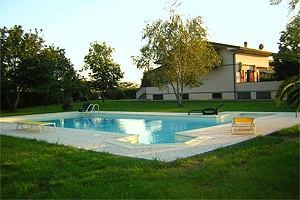 Farmhouse with pool for rent in Camaiore (Lucca), in Versilia. Sleeps 2+1, garden, swimming pool, barbecue. CAI-marked trails around the estate. Just a few kilometres from the beaches of Versilia. 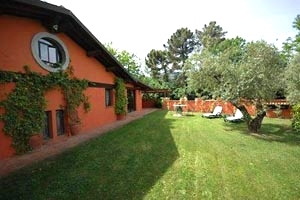 Elegant house in the Versilia in the center of Forte dei Marmi near Lucca . 6 sleeping accommodations, with air conditioning and garden, near the beach. 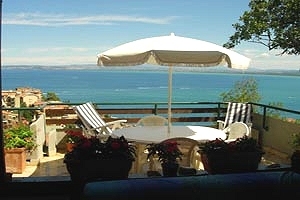 Holiday house overlooking the gulf of Punta Ala (Grosseto), in Maremma. 6 beds, satellite TV, Internet connection, breathtaking view over the islands of Elba, Giglio and Montecristo. Apartment along the Tuscan coast, in Castiglioncello (Livorno). Sleeps 5, private fully-fenced garden, barbecue. Beaches within just 2 kilometres. 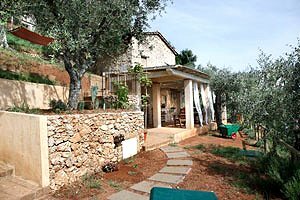 Holiday house in the centre of the small and suggestive village of Radicondoli (Siena) in Maremma, atop a hill south of Siena. Swimming pool, air conditioning, panoramic terrace. 9+3 sleeping accommodations. Tennis courts in the vicinity, possibility of horse riding. Portion of a villa in Riparbella (Pisa), in Val di Cecina, in close distance to the beaches of Marina di Cecina and the Etruscan Coast. Sleeps 5+2, garden, swimming pool and barbecue equipment. 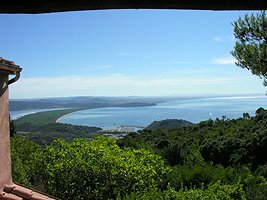 Apartment in villa on the wonderful promontory of Punta Ala, in Maremma, near Castiglione della Pescaia. 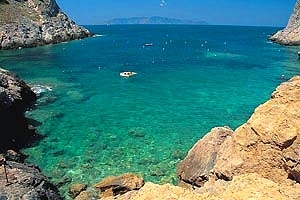 The apartment is close to beautiful beaches and the port of embarkation to the isle of Elba. Sleeps 4, garden, barbecue, air conditioning, Internet connection. Riding stable and golf club nearby. 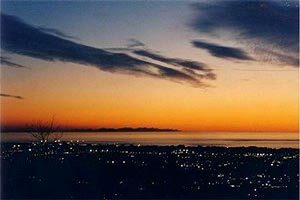 Apartment offering enthralling views of the Tyrrhenian Sea in Castiglione della Pescaia (Grosseto), in Maremma. Sleeps 4, barbecue equipment and panoramic terrace. Just 2 kilometres from the sea. House divided into two apartments sleeping 10+2 people near Torniella, a medieval village in the Maremma region, between Siena and Grosseto. Internet connection, swimming pool. The coast is about 40 kilometres from the house.